The UAE Space Agency (UAESA) has launched a National Plan for the Promotion of Space Investment aiming to increase domestic and foreign investment in the UAE space sector. The initiative promises to transform the nation into a regional hub for commercial space activities and advanced research and development. It also aims to encourage local investment vehicles to consider funding opportunities in the space sector, both domestically and globally. The announcement of the plan follows the decision of the UAESA’s board of directors to adopt its articles in tandem, and in support of the objectives of the UAE Vision 2021 and the UAE Centennial 2071— which aim to establish the UAE as one of the world’s best nations across various economic, social, and environmental fields. The strategy also contributes to the UAE’s Science, Technology & Innovation Policy, as well as the UAE Strategy for the Fourth Industrial Revolution. It envisions a competitive national economy based on knowledge, innovation, and future technological applications that integrate the latest physical and digital technologies, while also encouraging small and medium enterprises. The investment plan is based on the National Space Policy issued in 2016, which called for a comprehensive approach to attracting and promoting investment in the space industry, encouraging and facilitating commercial space activity, and establishing the UAE as a major regional and global hub for space activities and advanced research and development. 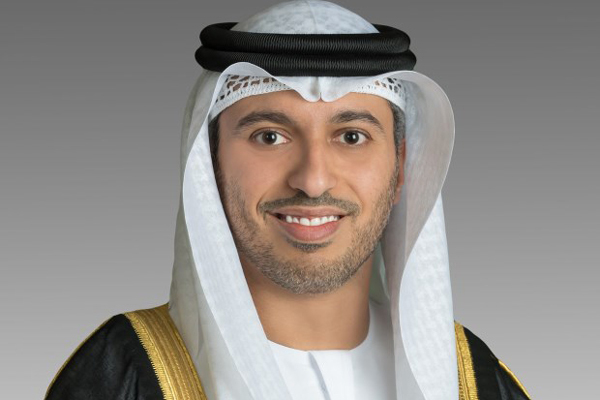 Dr Ahmad Belhoul Al Falasi, UAE Minister of State for Higher Education and Advanced Skills and Chairman of the UAESA, said: "The agency's adoption of the National Plan for the Promotion of Space Investment comes within the framework of its strategy and the objectives of the sector in general. These objectives seek to contribute towards diversifying the national economy and developing advanced science, technology, and applications in the UAE, along with supporting scientific research, building Emirati capabilities and instilling a culture of innovation, especially among the younger generations. “Space offers active and creative applications and solutions for growing vital local, regional, and global needs and challenges. These solutions include - but are not limited to - navigation tools, management of transport and shipping, management of natural resources, sustainability, monitoring of pollution and climate change, surveillance, crisis management and many more,” said Al Falasi. “The plan contributes to transforming the UAE economy into one based on knowledge, advanced skills, and innovation. It also encourages cooperation and partnerships with relevant parties in the government, private, research, and academic sectors, as well as further serves to encourage local and foreign investment in the space industry and attract leading space firms to establish regional and global headquarters in the UAE,” added Al Falasi. Private investments in space grew by 30.5% in 2017, as compared to 2016, and over the past 10 years the average yearly growth of private industry revenue grew at an average rate of 9.6%. According to CNBC, wealth management experts from Bank of America Merrill Lynch are expecting the Space Economy to be worth $2.7 trillion in 30 years, while Morgan Stanley forecasts that the commercial space industry will triple in size by 2040. “In 2017, the total global space economy value amounted to USD 348 billion, 79% of which were commercial revenues while 21% were for government budgets and manned spaceflight. Private investments in space grew by 30.5% in 2017, as compared to 2016, and over the past 10 years the average yearly growth of private industry revenue grew at an average rate of 9.6%,” said Al Falasi. “Through this plan, we seek to bolster our leading position in the space sector and with the vision and support of our wise leadership make the UAE one of the leading countries in the field of space science,” concluded Al Falasi. Dr Mohammed Nasser Al Ahbabi, director general of the UAE Space Agency, said: "The UAE's space economy witnessed remarkable diversification and growth throughout the previous period. The overall investment in the UAE's space projects exceeded Dh22 billion with more than 10% growth rate on projects expenditure during the past two years. The number of space-related establishments in the UAE reached 57, which provided over 1,500 job opportunities,” said Al Ahbabi. There are several notable examples of significant undertakings in the local industry. These include, the ‘Hope Probe’ Emirates Mars Mission, launching next year, the ambitious Mars 2117 long-term plan to build a self-sustaining colony on Mars in 100 years, an astronaut programme, as well as the successes of satellite telecom operators Yahsat and Thuraya. The Mohamed Bin Rashed Space Center in Dubai has also recently launched the first locally designed and built UAE earth observation satellite, Khalifa Sat. With several of the largest and most globally active investment vehicles in the world, in recent years the UAE has diversified its global investment strategy beyond the traditional asset classes and begun strategically investing in venture capital, including founder-led start-ups in Series A or later-stage deals. Mubadala Investment Company, which also owns a significant stake in Virgin Galactic, has recently opened offices in Silicon Valley and London where they operate their venture capital-led initiatives through both their investment in the $100B Softbank Vision Fund, as well as plan direct investments it intends to make.